How long would it take to “domesticate” humans? If aliens came down to Earth and enslaved humanity, how long would it take to selectively breed the humans to make them more docile and less resistant to their alien captors? For example, if they just bred the most friendly and least aggressive humans, killing off the rebellious ones, how long would it take to make the humans domesticated, much like the way dogs and cats are? The aliens in this world are extremely long lived; the average lifespan is about 1,000-1,500 human years. The aliens' government is roughly based on imperial Rome. They invade other species' planets and either assimilate or kill and enslave them. Keeping slaves is not necessary to them as they have advanced artificial intelligence; keeping slaves is seen as a symbol of wealth and power, with only the elite owning slaves. As previously stated humans could be very easily trained if taken from a very young age. On top of that any genetic influences could also probably be bred out within 10-20 generations. Experiments have been conducted with Silver foxes breeding the most aggressive and the most docile of each generation producing remarkably different temperaments as can be seen here. Similar experiments have also been conducted with rats with similar results. There is no reason to believe that humans would be any different. Just take babies from their parents and grow them up to have good relationships with the alien masters. It will take 10-15 years, and the aliens will have friendly humans available, without the hassle of breeding them. Once the first generation has been raised, they can very well keep up the job almost on their own. If they only want a few hundred thousand they might have all they need right away. There's a rare human disorder, Williams syndrome. 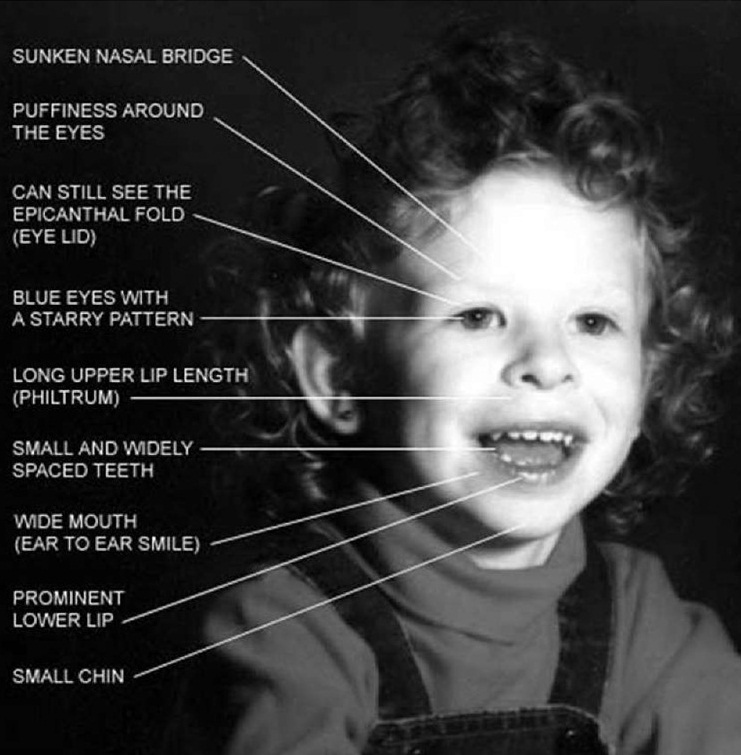 Williams Syndrome is a rare condition (1/10,000 births) caused by the deletion of some genes on chromosome 7. When somebody checked which gene was most different in dogs versus wolves, and they found it was WBSCR17. The WBS in the name stands for “Williams-Beuren Syndrome” because the human version of the gene has been linked to the disorder. People with Williams Syndrome are friendly, chatty and pathologically trusting. Many have learning difficulties but some have a fairly normal IQ, it doesn't help. They're still pathologically trusting, as in they can barely conceive of someone not having the best possible intentions for them. There's been some reports that williams syndrome children are basically incapable of racism among other things. They tend to get abused/molested at a much higher rate than the general population. If aliens arrived on earth and wanted to domesticate humans they could find an estimated 20,000 to 30,000 people in the United States alone already with williams syndrome. Probably a few hundred thousand from all around the world. There's various other health problems associated with the syndrome but selecting the healthiest individuals with near-normal IQ they could probably simply start a breeding program including a large fraction of Williams syndrome individuals and quickly (decades) have plenty of humans almost entirely incapable of believing that their alien masters have anything but the best intentions for them. Biologically, humans are already domesticated. The theory is that we actually domesticated ourselves when we developed agriculture. The concept still has some controversy, but most of the arguments for human self-domestication stem from osteological analogies between the bones of ancient vs. modern humans, compared to those of other domesticated animals. For example, a serious injury in a modern human would not have been as serious for an ancient human, due to their bones actually being thicker. So an extraterrestrial species would not need to "domesticate" humans, unless they have their own definitions of what an intelligent domesticated species should be like (which is likely, if they are practicing slavery). Either way, I do not think any amount of genetic engineering will completely eliminate slave revolts. Most likely some kind of drugs or hormonal control would be needed, but the best option I think is simply through cultural change, like others have suggested here: kill all the parents and then create a new culture with the children. The question really comes down to what the slaves would be doing. Bear in mind that many people already do fairly tedious jobs in return for a reasonable standard of living for themselves and their family. Historically (and still in many parts of the world) those jobs have often been dangerous. Even so, people have done those jobs because they didn't have a good alternative choice. Unless slavery is more dangerous than, say, mining in the 1700s, I don't see a massive drive to rebel. If slaves do not have particularly harsh duties and are basically just set tasks to keep their owners amused - playing music, sports, or whatever - then it's almost impossible to see them rebelling, and hence "domestication" is unnecessary. Hell, anyone who tries opposing the aliens is likely to be lynched by their fellow humans who quite enjoy their comfortable lives. This also makes me question why the aliens would bother to kill humans. They have AI, so robots can simply move troublemakers to internment camps. If the aliens are not kind masters though, some type of domestication will be necessary. It does not necessarily need to be bred in, of course. The aliens in The Tripods used brain implants to keep their human slaves under control. I'm afraid this is a bit of a standard B-movie trope. See Slave Race, or Turned Against Their Masters when some humans fight back later (as in The Tripods). You're going to have to do something rather special with this concept if you want to keep suspension of disbelief, otherwise you're likely to end up with just another 30s/40s pulp sci-fi pastiche. I'll take a contrarian approach. It will take less than 30 years to domesticate humans. The invading aliens are technologically superior to such an extent that their technology is like magic to us. If they can travel interstellar distances, they have us beat in that same way that dogs cannot understand how our household technology works. The dry food arrives in either a paper or plastic bag. The wet food arrives in tin cans (not that they understand paper, plastic or tin). Humans cause the food to come out of the containers like magic. Water is always in the toilet, ready to drink. So the alien overlords have AI, unknowable materials science, near instantaneous surveillance and superior weaponry. Resistance is futile. Human science, engineering, and most learning will collapse because there is no point studying Einstein if he's just been proven wrong and we don't have the intermediate steps to get to whatever the aliens understand of physics. Again dogs can't understand refrigerators let along jet aircraft. Religious conservatives, the military, nationalists, the wealthy, elites and politicians will be killed during the invasion. Any survivors will commit suicide unable to understand the world they find themselves in. The human population will probably shrink by a least a billion, probably by 90%, possibly by 99%. That leaves 70 Million humans. Still probably too many if the Alien elite need only trophy humans for the status symbol. They probably only need a breeding population of 50,000 to 100,000 humans. The aliens could take the long view and allow humans to continue living in cities without culling the population. If the aliens allow human culture to continue, are generous with food, medical attention and shelter, there should be a flowering of human creative endeavours as humans have nothing else to do but create art, books, music, movies, theatre and entertainment. Bread and circuses. Interplanetary aliens that we cannot detect either from the outer solar system or cloaked in the inner solar system. All 3 scenarios significantly exceed our technology. And the most likely scenario is they've cracked FTL travel. They've also invaded and enslaved humanity. So the starting assumption is they kicked our asses. I think the official dictionary definition is a good answer on it's own. "to tame (an animal), especially by generations of breeding, to live in close association with human beings as a pet or work animal and usually creating a dependency so that the animal loses its ability to live in the wild." Especially the latter part about creating a dependency. This could be done in different ways. One way would be as the series "V" did. Come to earth and "give" technology away. In the long term people will become depended of the technology. You could also tie it in with out current climate problems. These problems are created by the aliens. Slowly destroying our atmosphere, only to swoop in and save earth. Off course making us completely depended to them. After a 1000 years (Not really that long for the aliens) it will be the status quo for us humans, maybe we will even see them as our gods we need to obey. In short you first need to create obedience and after a lot of (human) generations make this the normal state of affairs. This however does not mean some humans will not bite if cornered. The time span will obviously depend heavily on the how you do it. It could take generations for the aliens or be instantly if you use some sort of brainwashing (As in the latest UFO computer game). Also the line between the humans being forced slaves and being domesticated is pretty gray for a while. As intelligent and inquisitive creatures are conceived as a threat, the aliens might be unwilling to reveal to humans anything about their past. They might separate the adults from their children (as said earlier) and raise the children in a new society, letting them meet only with like-members. Part of the "domestication" process is controllig such information and creating the impression that humans and the aliens always lived side by side while humans lacked any notion of culture and technology. They might do that for every few genarations, if they realize humans became too inquisitive and are suspecting that there is more than meets the eye. For instance: humans would inquire where the aliens bring the food from, and why can't they get it by themselves? Why humans are confined to particular places unlike the free-roaing aliens? Why that human was reprimended for somethig he has done, and what wron did he do? There are numerous events in which humans would communicate and attempt at starting a rebel, and the aliens must keep an eye on. I'd say if you want adult specimens asap with an explosive collar you would have enough to make them obey ofc you would have to blow 1 or 2 just to make an example. If you want fresh from baby stages it would take 1-2 generations remember our education is what makes most of our personalities if you teach them from little that defiance = pain they will obey willingly. To truly domesticate like you would do with an cow ... i believe it would be nearly impossible but this depends mostly how the aliens are (as a race) be it the most advanced goat in the universe ... if power runs out in the super goat-battle suit tonight we are going to eat goat soup (an example of an animal race going full alien). As with any sort of livestock the results are not so much based on how they bred so much as which offspring are culled and which are chosen to breed new. Another aspect that is important is how they are trained and educated. The more they are taught to think creatively, and act independently the more likely they are to rebel. Think of the dog that acts out when it doesn't get its way. The difference here is that humans have far more developed brains than dogs or other livestock. They can learn new things, and be creative. These are traits that complicate domestication. If humans are treated as Equals or even just given free access to information and communication with others, some will eventually develop a desire to rebel, and fight back. However if information and learning is limited and controlled, normal brain development can be retarded and the ability to effectively coordinate can be diminished. Humans are not the most dangerous and top predator in the world because we are strong, but rather because we are smart and have access to tools that we can leverage to make us stronger. If you eliminate that ability to learn to work together effectively, you remove a big portion of the human race's strength. That said, how effective of a slave or pet would you have if you retard development of the ability to think, reason, and coordinate? Imagine if humans were reduced back to the basic abilities of the severely mentally challenged. Any race of alien that has the ability to do this, would likely be able to produce robotic type constructs that could handle any task far more effectively and with less error than a mentally hobbled human could. More likely the race is advanced enough to modify the human genome to reduce the incidence of independence, violence, and any other traits that the master race finds troublesome. But still I would expect that there would be some serious need to cull the herd pretty regularly to keep a properly restrained herd. One look at slavery in the past will tell you humans have an inbred desire for freedom and thus will never be domesticated which is another word for slavery. Not the answer you're looking for? Browse other questions tagged humans interspecies-relations or ask your own question. How fast could a hominid evolve to run? Could you breed a hominid to have an identifying crest? How long would it take for a new intelligent species to evolve if humans disappeared? How long would it take for infastructure to fail if humans disapeared? How would humans be cared for in an alien zoo? How would human slaves be kept from revolting? How could aliens capture humans? How could the Episolians conquer and enslave humanity, given their shortcomings?